4 carry positions – facing in, facing out, hip and back. 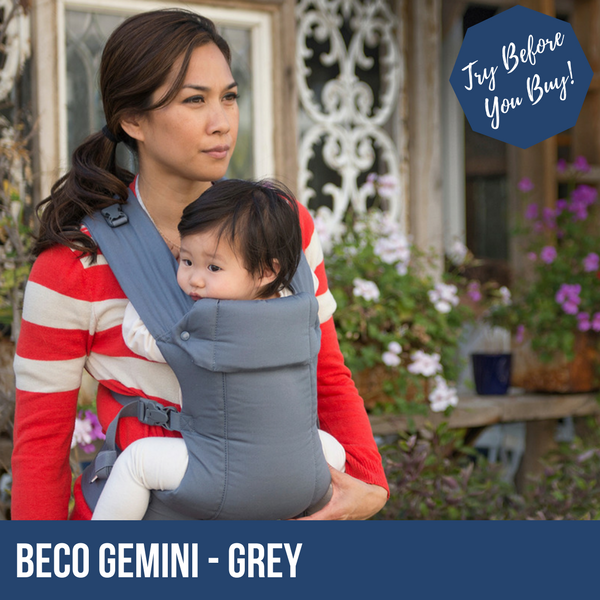 BECO GEMINI ARE NOW AVAILABLE ON A TRY-BEFORE-YOU-BUY BASIS! 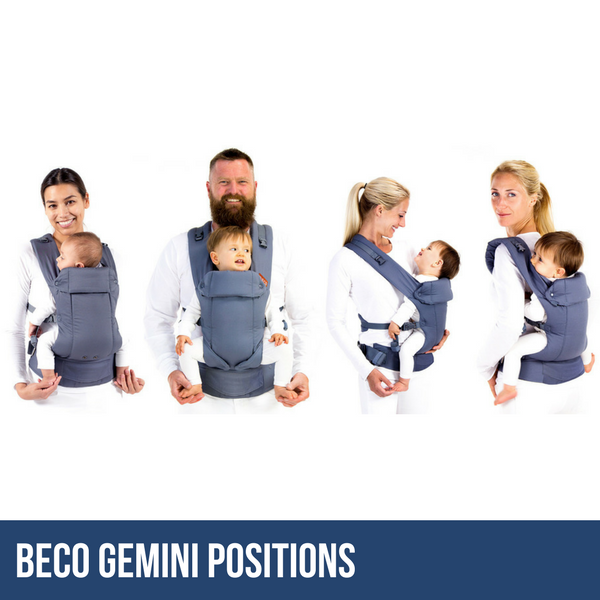 If you’d like to try one before buying, buy a new Beco Gemini online and try it out. 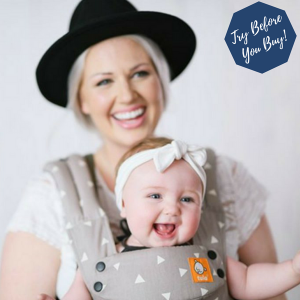 If for any reason you don’t like it, return it within 2 weeks of the purchase date and you will be refunded the purchase price (minus the £15 2-week hire fee and outgoing postage). Just get in touch to let us know you’d like to return it and to request the return address.